“In the past, the dogs would be euthanized when they became too old to work the long and demanding hours out in the field. The younger dogs who didn’t pass the training would be given away and they would often meet a gruesome end. Bonny badly injured her left front leg while training. It is now in a critical stage and will require extensive and expensive surgery in Thailand to ensure she can live out a normal life. 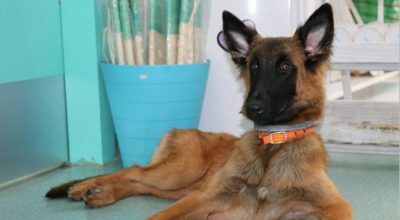 Diana has critical hip dysplasia condition, the failure of the hip joints to develop normally. This will lead to loss of function of the hip joints. She requires extensive surgery in Thailand. 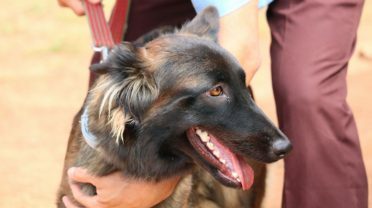 The Home of Heroes will be the first retirement home for de-mining dogs in the world after saving countless lives and finding thousands of hidden un-exploded bombs and ordinance. Check all our causes ! In October 2017, Animal Mama Veterinary Hospital & Pet Wellness Center signed our official Memorandum Of Understanding with Norwegian People's Aid (NPA)! 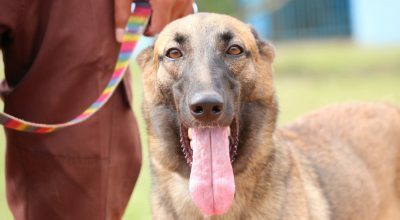 NPA dogs, who work their entire lives to detect explosives left in the ground as a result of war - will soon live in the world's very first specially established retirement home for ex-demining and working dogs set up by Animal Mama. Home Of Heroes will be a place to celebrate the dogs' contribution to humanity and a safe place for the retirees to live out their days in dignity and comfort. So far, 6 de-mining dogs are under our care - Muriel, Kaste and Diana from NPA, and Bonny, Beatrice, and Bella from CMAC. These beautiful dogs will now all have their special medical and health needs met through a proper daily management plan. Home of Heroes – Official Website Launch!